Free Fallin’: What a tweest! 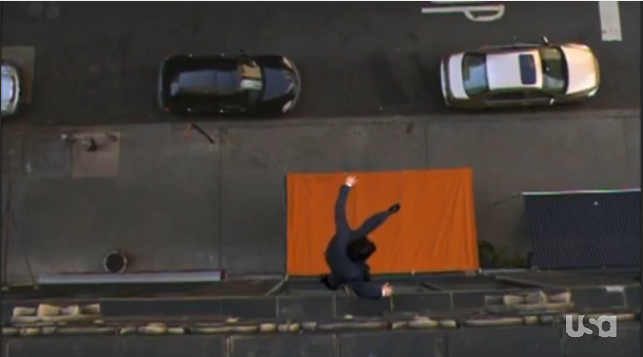 Was the fall finale of White Collar directed by M. Night Shyamalan? Well, you sure could have fooled me. If you haven’t seen any episodes of White Collar I suggest you don’t read this. I don’t explain much backstory and it’s not my job to hold your hand. I’m about a week late in watching/reviewing this, but I was emotionally commissioned at a Christmas party to give my take on this episode. I’m a man of my word and I like this dang TV show. Everyone wins. Or do they? “Free Fall” was by far the best episode of White Collar this season, but I have some issues with the twist at the end. Yes, folks. There is a major twist, hence the M. Night joke. More on that later. Throughout the season, the only story arc that’s maintained is Neal Caffrey’s search for his lady, Kate. Being the savvy girlfriend of a world-class criminal, Kate left Neal all sorts of clues scattered around town that would/should lead to her whereabouts. This included tapping morse code on her thigh in some security footage and strategically placing a map on a bottle of Bordeaux. The silent “X” marked the spot. Get it? The important clue to remember is the photo of Kate that Neal acquired — I forget how. In this photo we see Kate along with a suspicious be-ringed pinky on her shoulder. Having seen my fair share of mob and caper movies, I know better than to trust a be-ringed pinky. I was happy to see Neal back in action outsmarting the Feds, including his consultee, Agent Peter Burke. See, Neal jumped (or “free fell”) from a 4th floor window onto an awning — his awning of his bakery, by the way, purchased with reallocated art thief bucks by his friend, colleague, and University of Phoenix certified lawyer, Mozzie. Neal was being framed for a jewelry heist and we were baited to assume that Fowler, the sheisty fellow from the Office of Professional Responsibility who’s also Jim Carrey’s best friend in The Truman Show, is trying to get him out of the picture. Perhaps he’s the owner of the be-ringed pinky. That’s what I was thinking the entire time; and with the way White Collar’s previous episodes were written, why wouldn’t I jump (or “free fall”) to that conclusion? Apparently, it was too simple and I wasn’t thinking outside of the box. This is why those folks in LA make the big money and I’m sitting here writing a blog for seven (greatly appreciated) readers. It turns out that Fowler is part of the “MENTOR” program and he’s been investigating Peter the entire time. That’s why he bugged his phone and not Neal’s. 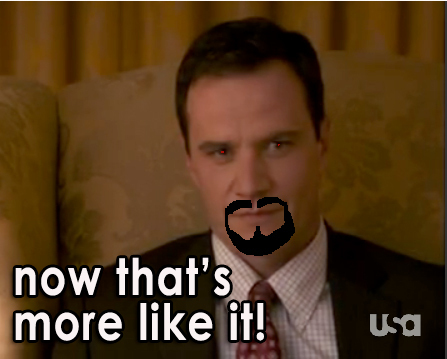 That’s why they’ve been watching Neal since before the jewelry heist. Somehow that makes sense. And dig this: Peter is the ringed man in the picture! WHAAAT! To add insult to injury, Peter, or should I say Dr. Claw, has been in contact with Kate this whole time. How’s that for a stinger? The big twist left me with a lot of questions, obviously. 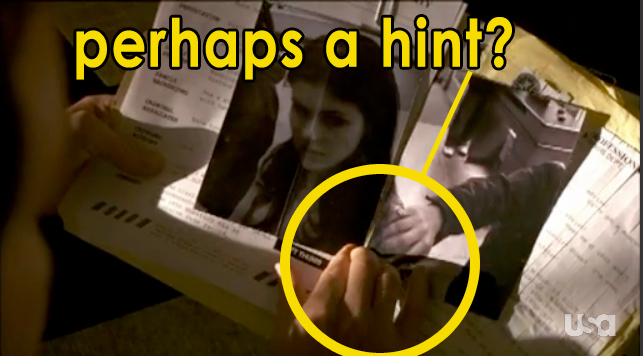 Aside from the whole pinky ring thing, it isn’t exactly clear why Peter’s being investigated. It’s possible the Manhattan pinky ring baron issued a recall and Peter was reluctant to comply. I’m also not sure who was trying to frame Neal. 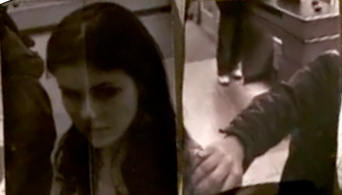 If Peter paid Tulane to steal the necklace and forge Neal’s signature, maybe he wanted to keep him away from Kate. But why waste all that time with Neal when he had the opportunity to leave him behind bars in episode one? If Fowler was responsible, I think it was a way to get Peter to react and expose himself. None of this is very clear. The only thing that’s clear is Peter isn’t who we thought he was. But is he or is he not a bad guy? In the final scene, when the twist is revealed, I almost wish Neal was in a spinning chair. That would have been a more visually stimulating (and literal) twist more consistent with the literal nature of the episode (see: Neal’s “free fall” escape and various other references to “pieces of the puzzle,” and the actual assembly of a puzzle!). I don’t understand why Peter has to wear a gold pinky ring in order to interact with Kate. One theory is that there’s an evil Peter — Bizarro Peter, if you will. 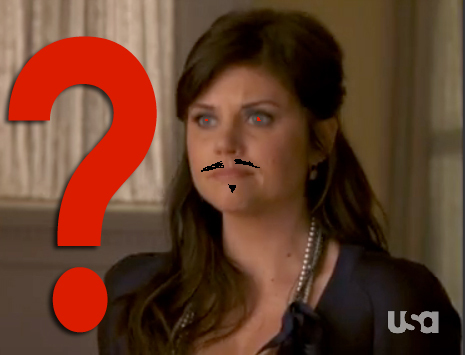 Of course, if that were true, he’d have a goatee. Unfortunately, that would add a little too much sci-fi fantasy to an FBI show that actually acknowledges paperwork and other bureaucratic hullabaloo. Having watched the White Collar from episode one, I noticed no subtle indications of any shadiness on Peter’s part. I still remain skeptical of KellyElizabeth, Peter’s inexplicably hot wife. I don’t think she’s a party planner at all. I think she’s a Canadian currency counterfeiter extraordinaire. Isn’t it obvious? On the bright side, this was an excellent mid-season cliffhanger and while I appreciate that they left it up to the viewer to sleuth, they really didn’t give us much to work with. That’s what separates this show from shows like Damages and keeps it in the same league as Dexter or House. I’m eager to see what happens when White Collar returns January 19. It looks like we’re really going to start getting to the bottom of the whole Kate thing. And is KellyElizabeth somehow involved in this whole ordeal? After all, it is a bit convenient that Peter tells her every detail of every case. Isn’t that illegal or something? 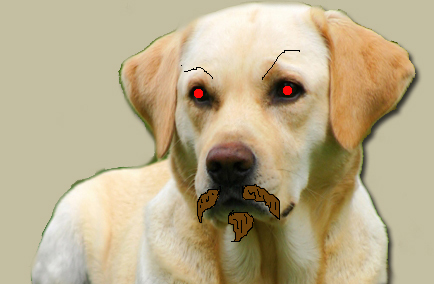 What does the labrador think? Only he has all of the real answers. …or does he? DUN DUN DUUUUUN. This entry was posted on December 15, 2009 at 3:49 am and is filed under entertainment., popular culture, television. You can follow any responses to this entry through the RSS 2.0 feed. You can leave a response, or trackback from your own site.